Kumabe HR is the leader in executive recruitment, temporary staffing, and human resource consulting in the state of Hawaii. Expertise in these areas enable Kumabe HR to work with our client organizations to reach their business objectives and realize success in their talent management initiatives. 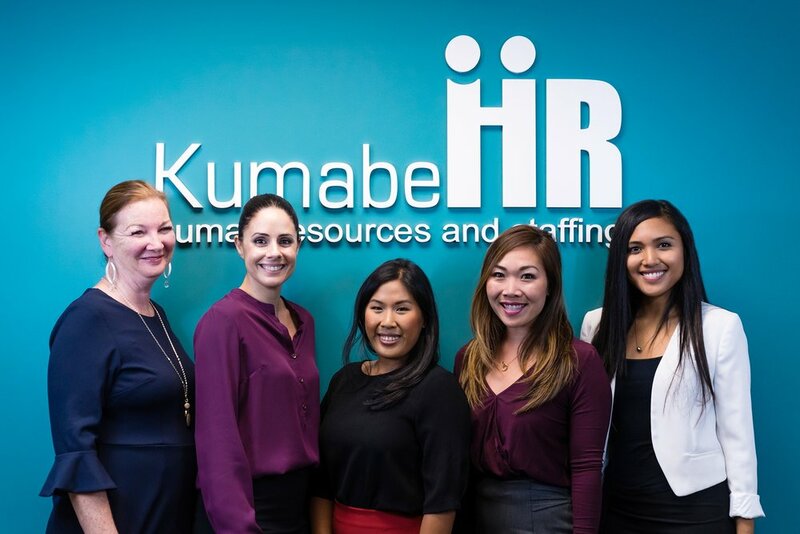 The Kumabe HR team brings extensive human resource knowledge to facilitate both current and future talent needs that provide our client organizations with an enviable competitive edge. Partnering with us is a truly collaborative experience. Our clients look to us to provide not only the best human resource services, but also strong and accurate recommendations that will assist in making decisions that are essential to the health and future of their organizations. With over forty years of combined HR experience, Kumabe HR certainly understands the challenges of building and maintaining a successful organization in Hawaii. Success in business hinges on strategic agility and the ability to execute. Therefore, our solutions can grow and change as your organization evolves, allowing you to strategically leverage Human Resources in your business. Kumabe HR is the leader in staffing and human resources consulting in the state of Hawaii with a focus on executive recruitment, staffing, and human resource solutions.